At 1213 Walnut, we love getting to see the different ways in which our residents personalize and decorate their own apartments. The best part, though, is getting to design our space so that all of our residents feel like they’re at home no matter where in the building they are. Of course, that means that during the holiday season, we made sure to celebrate by transforming our space into a festive winter wonderland. For that task, we recruited Bryan Hoffman of Hoffman Design Group, who intertwines a passion for landscaping with green design, bringing greenery to spaces both in and outdoors. Hoffman is no stranger to Philadelphia, having designed spaces for The Bellevue, Comcast Center, and the new James Oliver Gallery, so we were thrilled to have him decorate the building for the holidays in a way that perfectly accompanies our space. 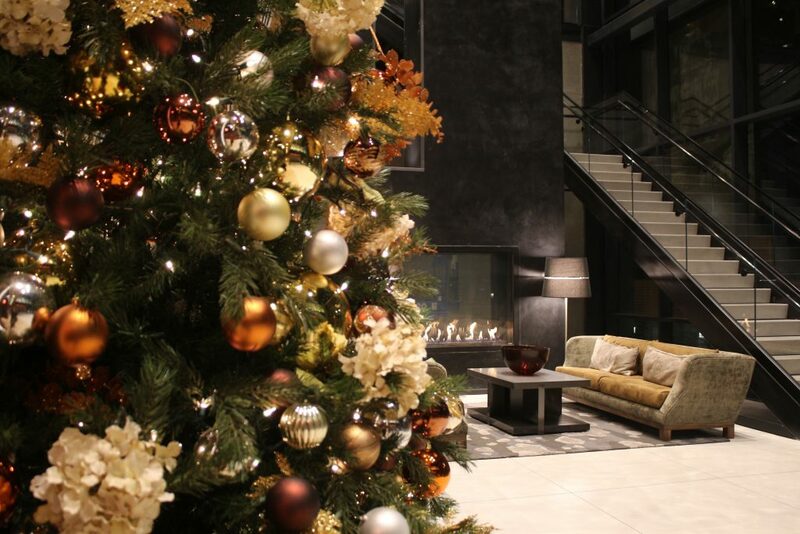 Curious about what goes into designing festive décor for a space like 1213 Walnut? Us too. Read our interview with Hoffman below. Q: When it came to 1213’s holiday decorations, what was your vision for the display? 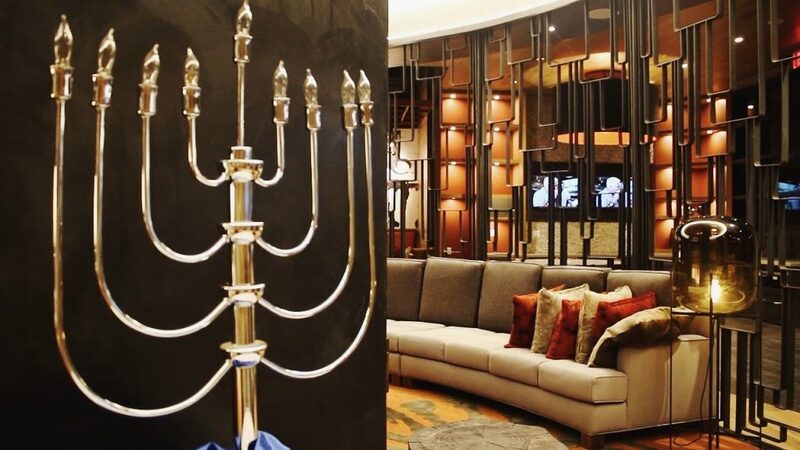 A: The idea behind 1213’s decorations was to make it feel “homey.” The lobby, features, and color schemes go a long way in doing so before any décor was added on our end. 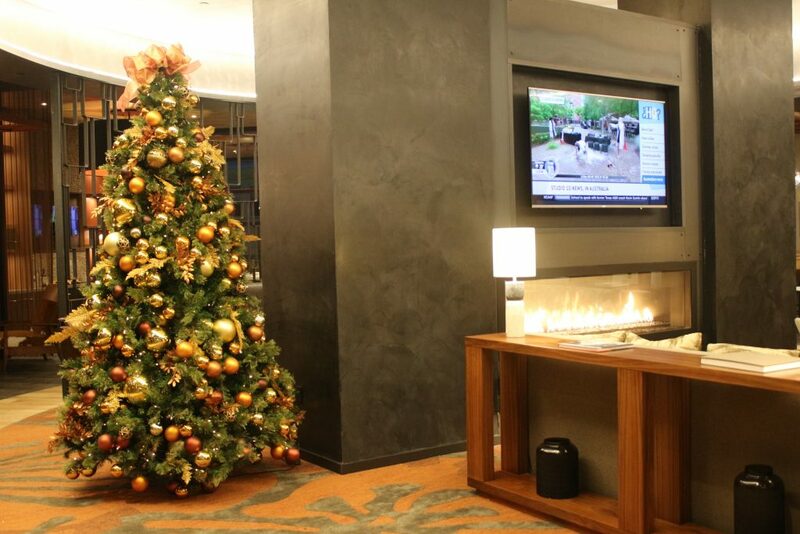 The orange/copper colors and the fireplace in the second floor amenities space provide a warm feeling for tenants that we wanted to play off of with the individual pieces of décor on the trees. 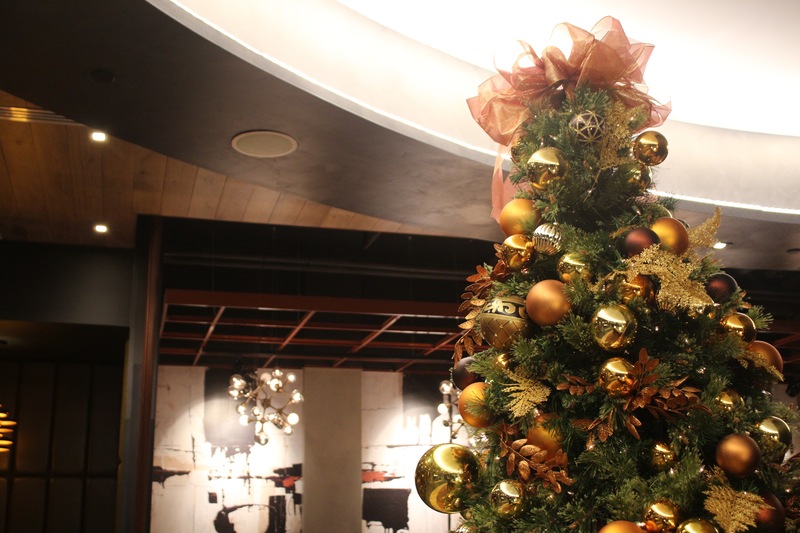 The twig arrangements in the containers add a touch of elegance to the holiday display, which is necessary to match the upscale feeling of the high ceilings and modern look of the lobby. What inspired you to begin Hoffman Design Group? Hoffman Design Group’s purpose is to leave people and their environments in a better place than we found them. I began the company with the intention of just that, using horticulture and nature to delight clients and enhance their environments. Your landscaping firm centers around nature being a part of a person’s everyday space. How have you seen this work in your years of landscaping design? We certainly pride ourselves in being able to not just place nature in the space, but blend nature into the built environment. At the end of the day, that is why people contact us: to enhance their spaces through nature. Even with temporary displays, such as the Design Philly event this fall, we always aim to use real, living plants in the design. What are some of the differences between decorating for a building where people live versus one where they work or visit? 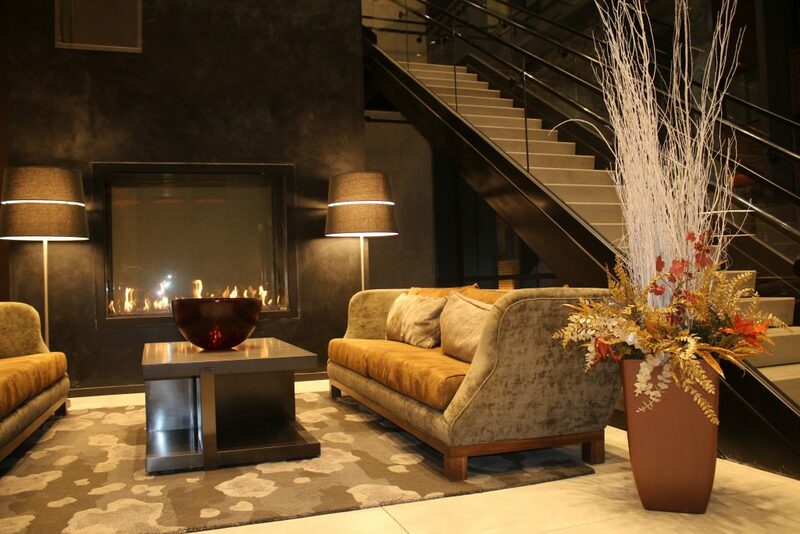 One difference would be the trends that affect the office and hotel environments. Keeping up with the design industry (in addition to competitors) means staying on top of these trends. Interestingly enough, there has recently been a large push toward the “live, work, & play” environment that blends office and home-life, which may very well lead to a blending of design practices. What is one of your favorite and most challenging aspects of your job? I would have to say the design process itself. While solutions come quickly and easily with certain clients or environments, it can be quite the opposite in other cases. Sometimes, when dealing with a client that quite frankly has no idea what they want, it leads to an overload of ambiguity, making it necessary to start over multiple times before finding the right solution. This can be incredibly challenging, but almost always, in the end, the most rewarding types of client scenarios. Do you see yourself working on more projects with 1213? We certainly hope so! As I mentioned, nature in the space goes a long way to relieve stress and provide comfort, and we would like to explore how we may aid in doing so for the tenants of 1213 Walnut on a regular basis! We don’t want to be the only ones to take in these beautiful scenes for the holiday season. To see our one-of-a-kind display for yourself, book a tour with us today. Happy Holidays!